Bags, suitcases, umbrellas, hats and apparel with the world maps the brand is famous for printed on them. Its name in Italian means 'Venetian shop', and in fact the main branch is located in Vicenza. Their Veneta and Caba bags are well known. They also have clothing for both women and men. 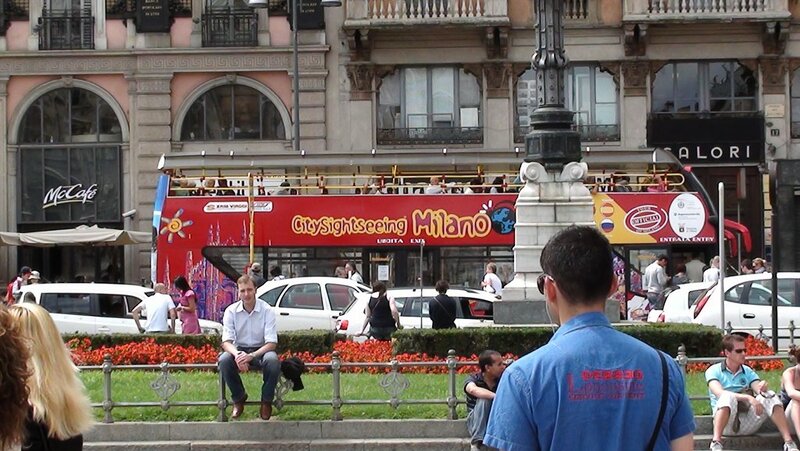 A large company based in Bologna which is successful worldwide. It also does a line of hand-made shoes. The gentlemen drivers' approach to the shoe side of this life. In brilliant colors, too, Since 1963. Elegant shoes famous the world over for their comfort and wear. Another outlet in Corso Magenta 17. Here they sell patented shoes that claim to let your feet "breathe". Young styles. Other shops in the main shopping areas. Flagship shop for a name that needs no introduction where you can find everything belongs to the Gucci brand: bags, clothes, shoes, eyewear... Classics and brand new lines. The "Montenapo" outlet for the brand created, along with Tod's, by successful shoe-maker Diego Della Valle. Tod's is at Via della Spiga 22, as well as in the Galleria. The Fay brand for clothing belongs to the same group, and its men, women and kids lines are at Via della Spiga 15. The three labels are on sale together at Dev, Corso Vercelli 8. Manufactures, since 1926, shoes for any type of foot. The legendary American producer, Cecil B. 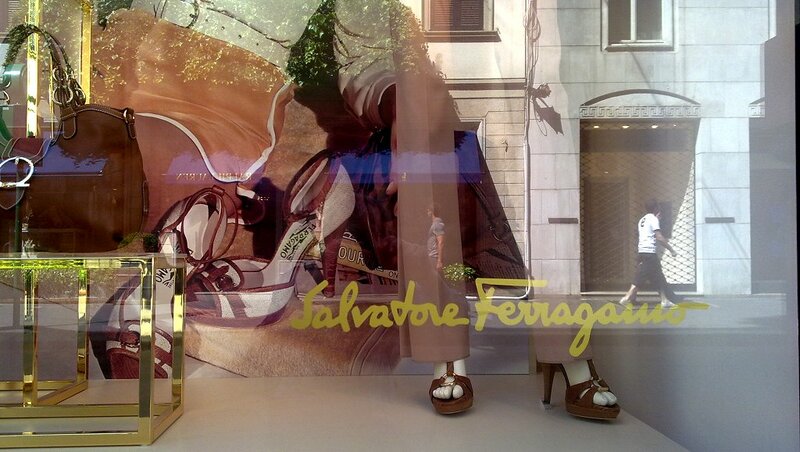 De Mille, and the glorious Greta Garbo wore Ferragamo shoes. Wedge-heel shoes were a Ferragamo invention back in the 1930s. There is also an infinite variety of accessories in leather and classic apparel for men and women. The men's line is in Via Montenapoleone 20/4. They launched Zintala, the most widely copied mocassins. Bill Clinton wears classy Lattanzi shoes. Another Lattanzi at Via Borgospesso 25, corner Via Spiga. Itself an authentic Milanese tradition, Valextra is famous for wallets and small leather goods, some of which are patented (the rigid key-rings, for example).